The pork scratchings made from the remains of the ham brought back from Spain have been a mixed success. I was hoping that the pieces of fat would crisp up to give a good crunch when bitten after they had been in the oven for a few hours. But I think they might have needed another couple of hours. They are still soft and too fatty and not great to eat. I will keep them in the fridge and throw them into the next stew that I make to help give it some body. 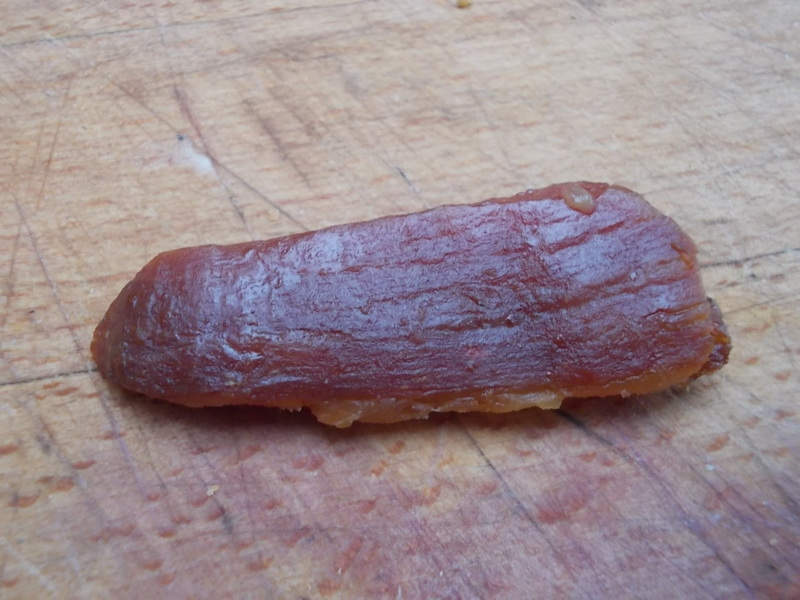 But amongst those pieces of fat there were small nuggets of meat that had managed to escape our knives in Spain. They have been worth searching out and preserving. They are mostly hard and crunchy like biting down on a boiled sweet. They still carry with them them the taste of the ham and occasionally there will be a piece that seems to have taken on an even more intense sweet taste. These pieces are soft like a sticky piece of toffee and taste as if they have come from deep inside the pig’s marrow. The taste lingers in the mouth and it is only a shame that there is not much of it left. my expoerience of crisp pork skin is that it is best in a hot oven, glazed with some water, at the end of the cooking. it is different from crisp bread which can crisp up in a slow oven, I think. But I have never tried to make pork scratchings separately in a slow oven. Michael.